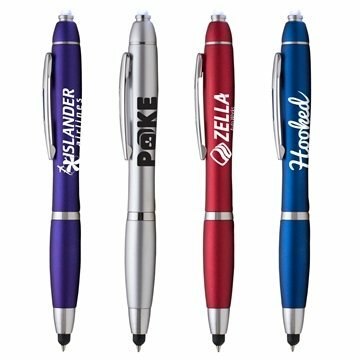 A wider barrel with a slight contour, the Sophisticate Stylus pen includes an LED spotlight, for a truly multifunctional and practical promo item. 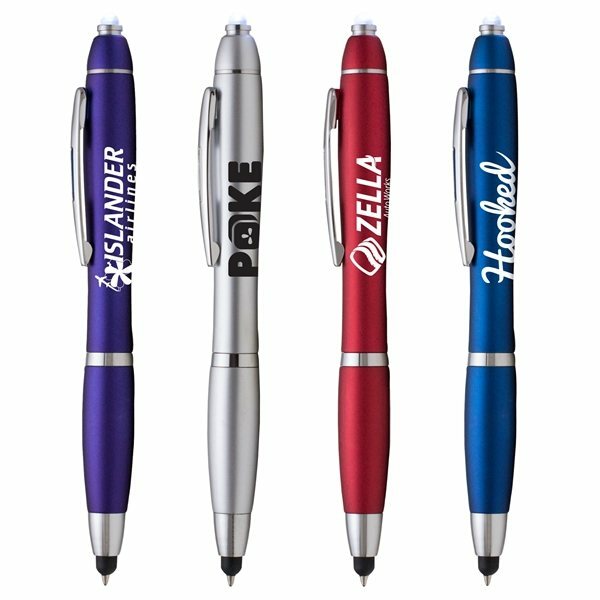 A twist-and-write plastic pen with a metallic finish, the Vegas Stylus comes in a variety of vibrant barrel colors to customize with your imprint. Affordable, practical, and chic, this is a great item to promote your business or event.